Experience the sparkle of the season at Georgetown GLOW, the region's only curated exhibition of outdoor public light art installations. Set against the historic backdrop of DC's oldest neighborhood, it's a whole new way to shine. 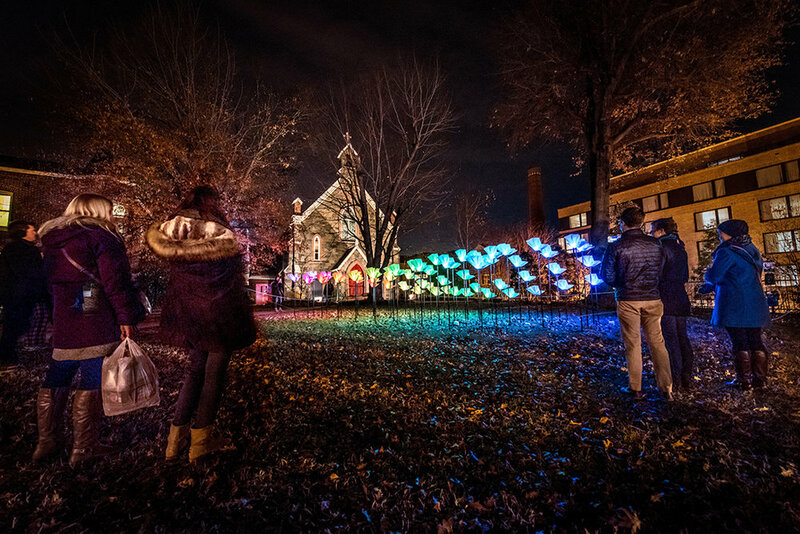 The 2019 Georgetown GLOW invites visitors to re-imagine the season of light through outdoor public art. This 6th edition of GLOW will run from Friday, December 6 through Sunday, January 5, with works lit from 5 – 10 p.m. nightly. Georgetown GLOW is presented by the Georgetown Business Improvement District. Thank you to the DC Commission on the Arts & Humanities for awarding the Georgetown BID with a Public Art Building Communities Grant for Georgetown GLOW 2018.